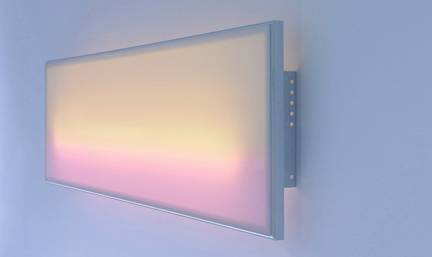 A singular illuminated canvas inspired by color and light therapy theories which give it a soothing aura. The color photons emanating from the lamp reduce the everyday spleen and create a peaceful mood. Each lamp includes an assortment of two color acetates.